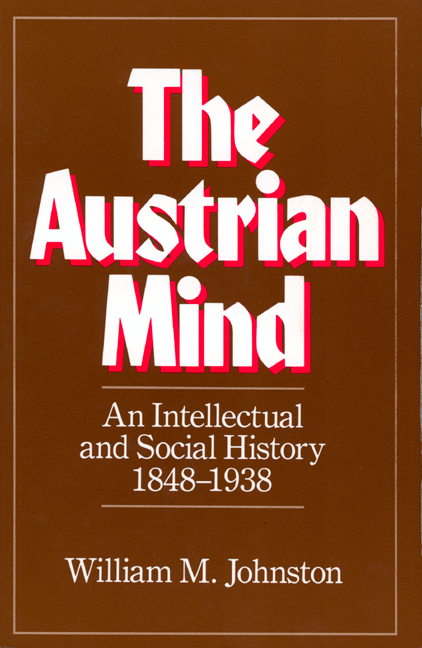 Part One of this book shows how bureaucracy sustained the Habsburg Empire while inciting economists, legal theorists, and socialists to urge reform. Part Two examines how Vienna's coffeehouses, theaters, and concert halls stimulated creativity together with complacency. Part Three explores the fin-de-siecle world view known as Viennese Impressionism. Interacting with positivistic science, this reverence for the ephemeral inspired such pioneers ad Mach, Wittgenstein, Buber, and Freud. Part Four describes the vision of an ordered cosmos which flourished among Germans in Bohemia. Their philosophers cultivated a Leibnizian faith whose eventual collapse haunted Kafka and Mahler. Part Five explains how in Hungary wishful thinking reinforced a political activism rare elsewhere in Habsburg domains. Engage intellectuals like Lukacs and Mannheim systematized the sociology of knowledge, while two other Hungarians, Herzel and Nordau, initiated political Zionism. Part Six investigates certain attributes that have permeated Austrian thought, such as hostility to technology and delight in polar opposites. William M. Johnston is Professor Emeritus of History at the University of Massachusettes, Amherst.